What a special day to have the grandparents visit! Ginny & Gene, Grandma & Bruce and Grandma Furnare all came down to watch Van's baseball game and join us at Eat Italian for dinner. We all love being together and sharing beautiful family memories. Had a great night with good friends at our new favorite restaurant Eat Italian. The end of an era. Thanks Dad for building such a wonderful playhouse but it's time to say goodbye. Not sure yet how we're going to transform the backyard... but I'm sure it will be better than ever! 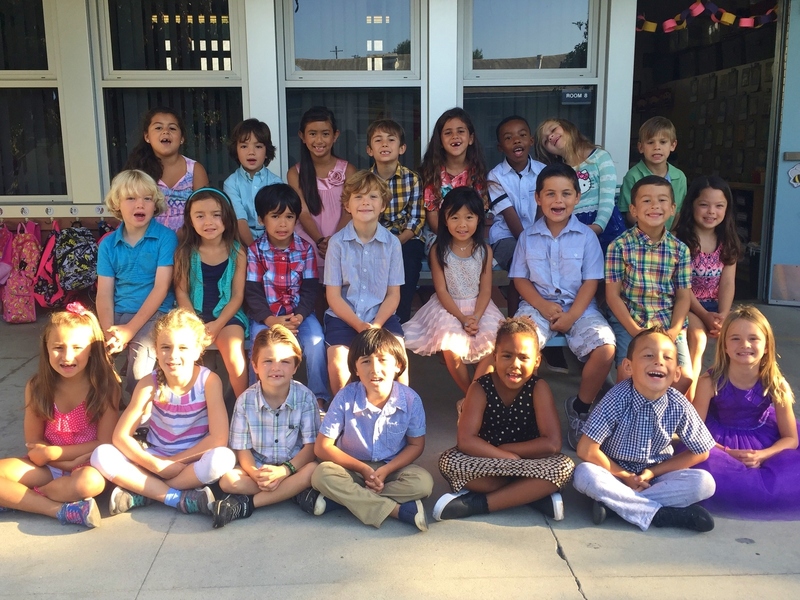 Van's 1st grade class with Mrs. Vega. Happy birthday sweet Ginny! We surprised her at Avenue Italy for a delicious birthday dinner. We're so thankful to have Ginny in our lives. She's loving, nice, smart, fun and always up for our adventures like tubing in Mammoth, riding roller coasters at Disney World or snorkeling in Hawaii. Thank you for everything you do! We love you!!! Lilly's another year older as we celebrate her 9th birthday. Water balloon toss, bobbing for apples, suitcase game, swimming and tons of friends and food was our day at Sherry's. Hope you had a great day Lilly and we hope you have the best year ever!